After a long walk from sight seeing with our last top at the Tower Bridge, we chanced upon Jamie's Italian and were very excited about it. Having tried Jamie's Italian in Singapore, we were rather curious the taste changes in London taking into consideration that we may not have much British Pounds left after the meal. 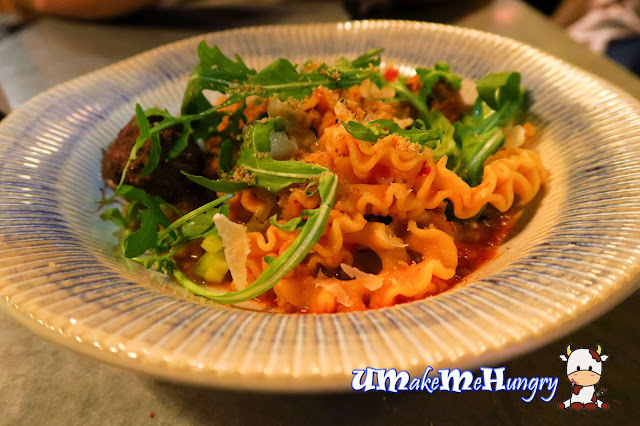 I guess the experience to try Jamie's Italian in London had ruled over the money at that instance, after all we shared similar sentiments that Jamie was born in UK and it was a good chance that we gave it a try. 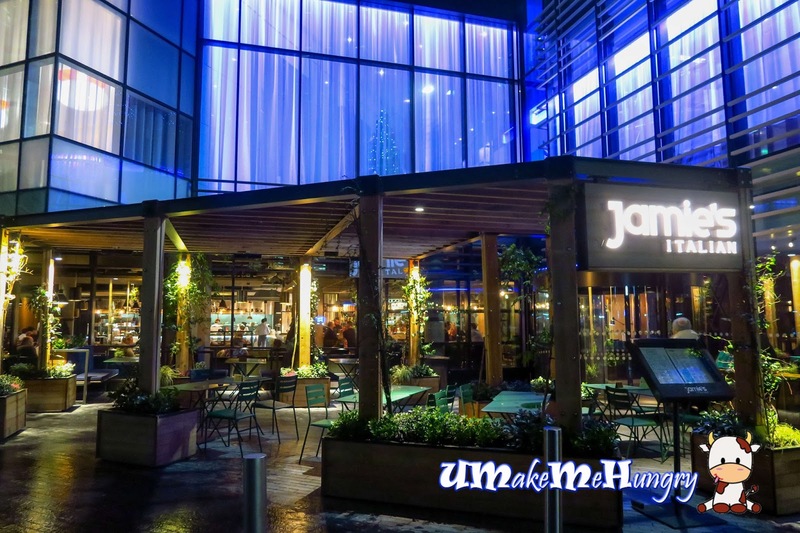 Jamie's is housed in Hilton Hotel, in the heart of London and while the weather was shivering cold at about 9 Degree Celsius coupled with rain drizzle, we hurried ourselves into the restaurant and felt the extreme gush of heat and got ourselves immediately warmed up. The friendly waiter greeted us and asked where we were from. Without much hesitation, we told him our country of origin and our purpose was to do a comparison of food in Singapore and London. Menu of Jamie's Italian was more or less similar to what we have in Singapore. Being Hungry & Cold, we ordered their artisan breads so as we can fill ourselves a little while waiting for our mains. 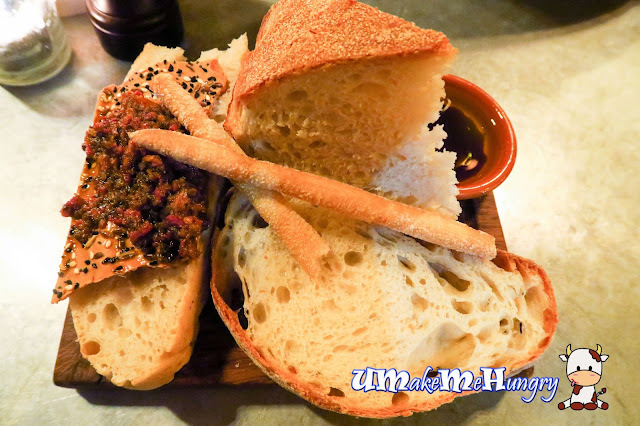 These freshly baked breads were served on wooden board, consisting of focaccia, ciabatta, seeded crackerbread, sourdough & grissini with extra virgin olive oil, balsamic & tapenade. Featuring one of Jamie's Favourite ~ Meatball Pappardelle on their Pasta Menu. Their Pasta were made in house daily with quality ingredients. As for meatball, they uses free range pork & fennel meatballs in a fiery 'nduja tomato sauce with breadcrumbs that smell of herbs, rocket and Parmesan cheese. 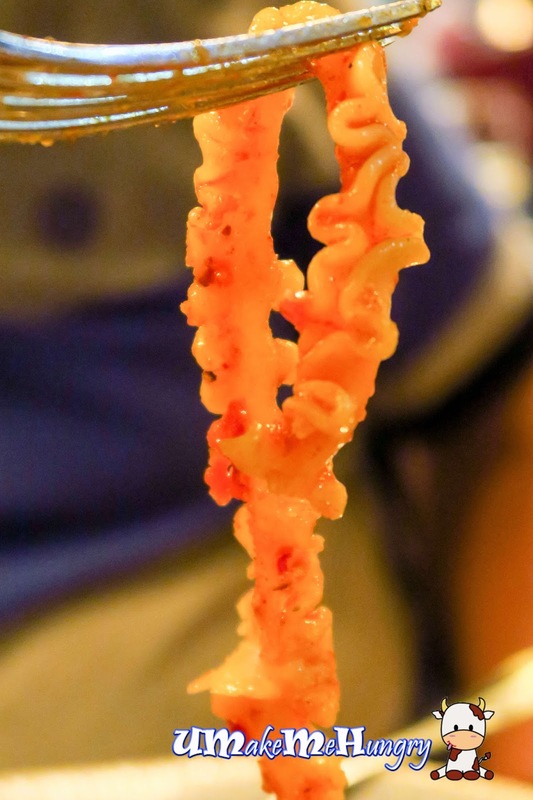 Though it was mentioned by the waiter that their pasta was cooked to Al Dente, the consistency of the texture was not really even but taste was good. Perhaps using free-range chicken coupled with the right amount of grilling skill sums up Jamie's Favourite ~ Chicken Cacciatore on ther Mains. 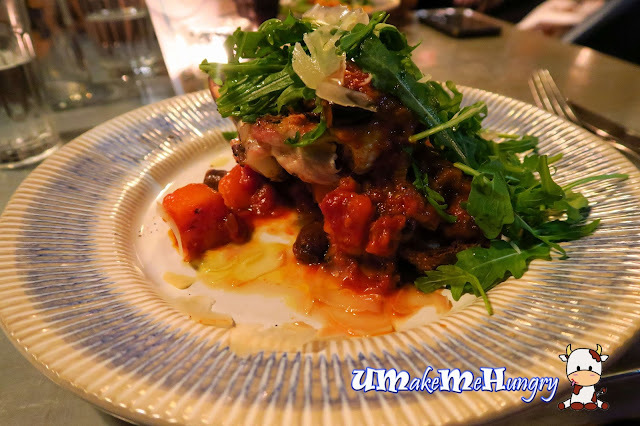 Chicken was perfectly done in its tenderness and paired in rich, tomato & Chianti sauce on their seasonal vegetables. Rocket, black olives, parmesan, pine nuts had elevated the dish. 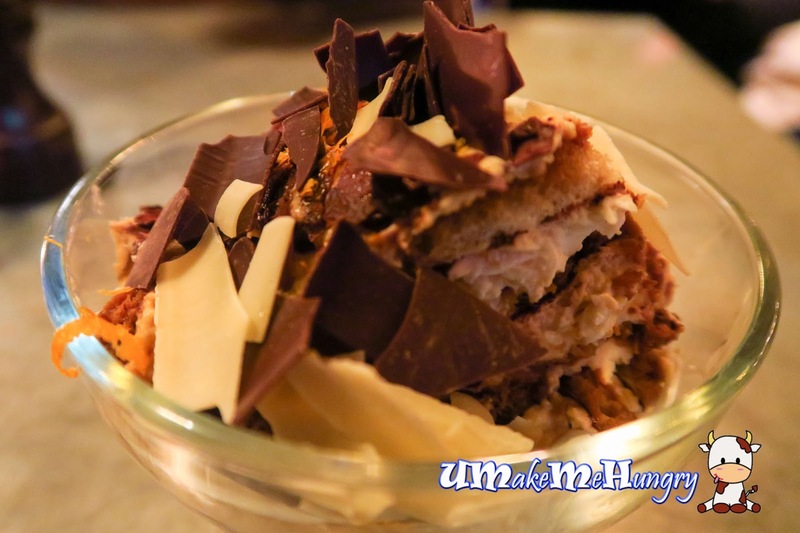 If you ever tried their Tiramisu in Singapore, the presentation was totally different. This classic Italian dessert with Vin Santo is definitely much more better than what we had. The soft spongy layers of Tiramisu was lavished by handful of chocolate shavings and orange zest. We were all so contented to have our meal wrapped up with such delectable dessert. So what's the verdict? 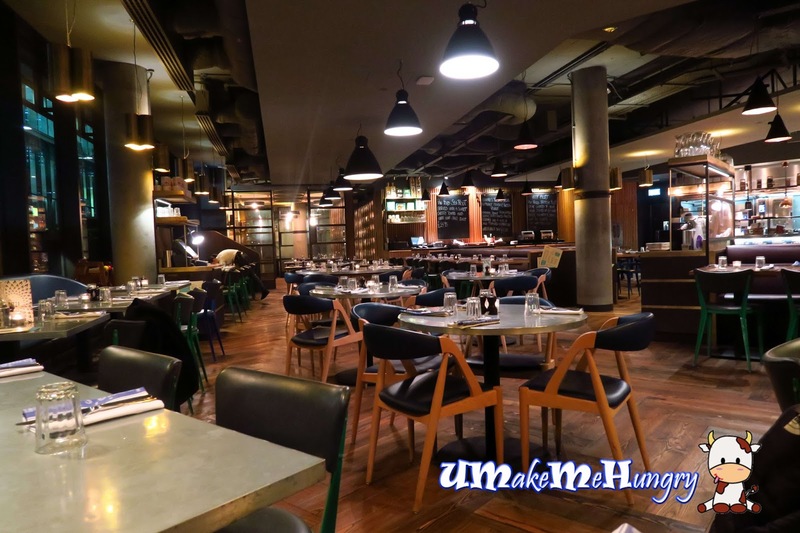 In my opinion, Jamie's Italian is better in its home country than in Singapore in terms of taste. Restaurant space is alot bigger of course and packed. Having said so, service was still efficient. Ambience was under a perfect dim orange lightings but the chatters around may not be suitable for some who want to enjoy quietness.